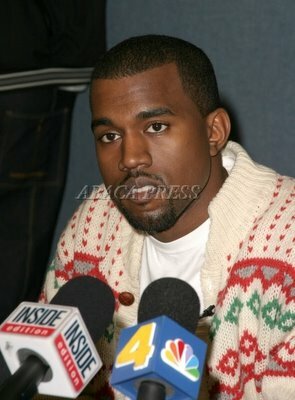 Kanye holds a press conference to announce that he's fired his stylist and that his great aunt, Mildred will assume the role. ha! that's nearly as bad as the infamous "reindeer jumper" in Bridget Jones! 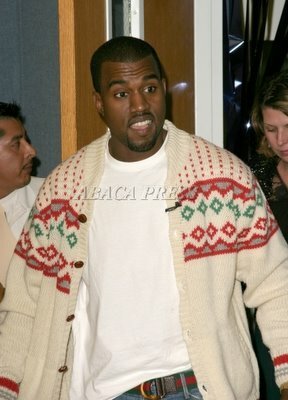 I LOVE That sweater..how festive of him!! He'll always be hot, no matter what he wears.